Extra Virgin Olive Oil to drizzle over pizzas. Preheat oven to Fan Bake 180C. Line an oven tray with baking paper. Slice the eggplant into 1cm thick slices and place onto the baking tray. 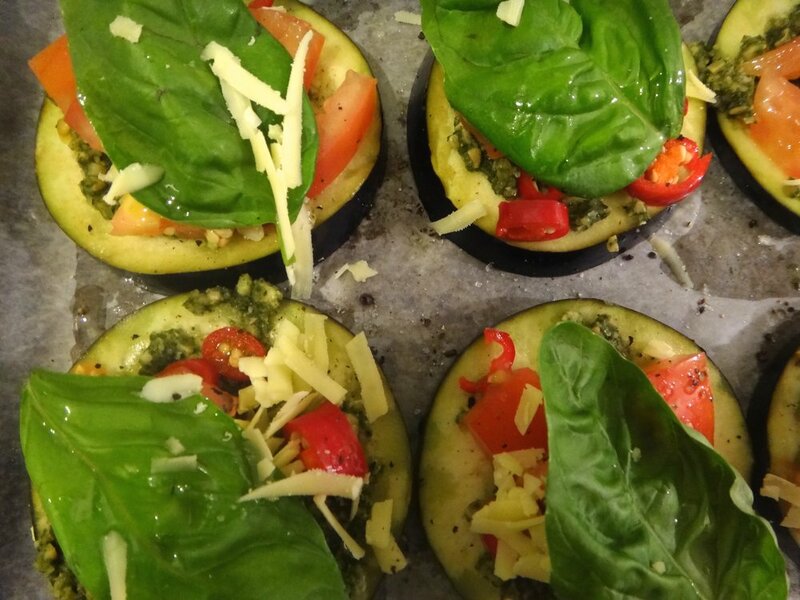 Spread pesto on each eggplant slice and sprinkle with parmesan. Chop up the tomato into small cubes and dice the chili finely. Place ingredients evenly onto the eggplants slices. Top each slice with a basil leaf and season with salt and pepper. Drizzle slices with some olive oil and bake in the oven for 10-15 minutes. This is an easy recipe to make for dinner served alongside a salad or it can be served as an appetiser for a party. You can add extra vegetables to the pizzas or leave out the cheese for a vegan option.